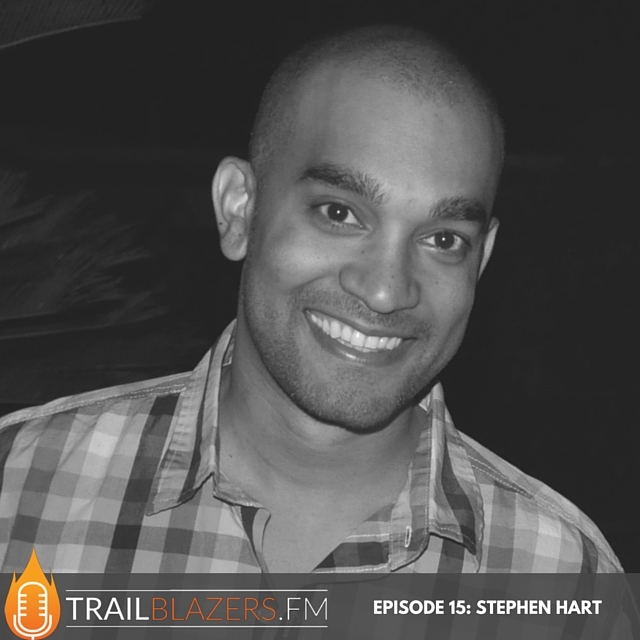 Host Stephen Hart shares a unique story and discusses the 5 core themes evident in the first fourteen interviews of the podcast. It was on my heart today to share a story with you all to set the stage for what I wanted you to take away most from today's episode. This story was originally told by a man by the name of Dr. Russell Herman Conwell, and he told this story more than 6,000 times all around the world. Dr. Conwell went on to become the founder of Temple University in Philadelphia. I was introduced to Dr. Conwell by his now famous inspirational lecture, Acres of Diamonds, and it has inspired me in so many ways and I'd like to take a couple minutes at the beginning of this episode today, to share a brief summary of this inspiring story with you. This is a true story of a persian farmer named Ali Hafed who was a wealthy man. One day Ali Hafed heard tales about the exciting stories of other African settlers who had made millions by discovering diamond mines. Now after he had heard all about diamonds, & how much they were worth … he quickly became discontented. Realizing the African continent was rich in diamonds, the farmer became determined to have a mine of diamonds for himself and so he sold his farm, left his family and went in search of diamonds. Ali Hafed spent the rest of his life wondering Africa and Europe, searching for diamonds without success. Finally, broke and desperate, he threw himself into a tidal wave in Barcelona and drowned. Meanwhile, the man who had purchased Ali Hafed's farm, one day led his camel into the garden to find water to drink and as the camel put its nose into the shallow waters of that garden's brook, he found a large and unusual black stone in the stream which cut through the property. It turned out to be a great diamond of enormous value. and then he'd discovered that his farm was covered with all sorts of beautiful and valuable gems. It was to become one of the world's richest diamond mines of all time. the largest diamonds on earth came from that mine. You see, Ali Hafed had owned literally acres of diamonds but had sold them for practically nothing, to go in search of them elsewhere. If Ali Hafed had only taken the time to study, to know what diamonds looked like in their rough state, and thoroughly explored his land, his gardens and the streams he owned, he would have had the millions he sought, right on the land he'd been living on. The message of this story, that I hope to impart to you today is that each of you listening today, is at this moment, standing in your own acres of diamonds. Together, we have heard so far from 14 trailblazers who are each experiencing success in their own lives. They are each successfully mining their own acres of diamonds. If we can extract some wisdom from those interviews and have the patience to intelligently and effectively explore how that can be applied to the work we are doing today, we will most definitely find the riches we seek, whether financial or intangible or both. Somewhere within the work you are doing today, there lurks an opportunity which could bring you everything you could possibly want for yourself and your family. I hope that these past 14 weeks have blessed you, as much as it's been a blessing to me. I would never have guessed that in the first 3 months of this podcast, we would have had an opportunity to talk with so many brilliant and amazing trailblazers who have pushed through their biggest failures and challenges to experience success. In the past few days, I discovered that the Trailblazers Podcast has already been downloaded in over 38 countries around the world. 38 countries! That is truly amazing to me. Thank you all for your help in continuing to share the podcast with your network. The news is certainly spreading all over the globe. So, I wanted to share with you today, 4 main themes that I discovered from listening to these first 14 guests. Right from the very first episodes, we heard in Ep 2 w/ Dwayne Watkins, share his story about leaving his IT job to pursue a passion for photography, that has now led him to becoming an award winning Wedding & Lifestyle Photographer. Or in Ep 7, when we heard Craig The Barber®'s tale about leaving a job with the bank to pursue his passion as a barber. He is now one of Hollywood's Top Grooming Experts, who is now a spokesperson for a few of the most respected brands in the world today. Mr. Moody says we need passion, but passion alone won't get you to your acres of diamonds. You need to also be skilled, and be really good at your craft. Candace Mitchell did something she was passionate about and that she had a skill to do, but most importantly, she and her team did their market research and tapped into a need for a specific market. For the entrepreneurs listening, you've got to be very clear on how your product fits the needs of a specific, targeted group of people. Once you're clear on who that audience is, you can target them and scale your business. This theme was further supported by Ep 13 guest Everette Taylor and Ep 14 guest Clarence Wooten. #5 Just Keep Going. Just Do It. Just Keep Trying. You are standing in your very own acres of diamonds right now. It's time you uncovered your hidden gems. Remember: Somewhere within the work you are doing today, lurks an opportunity which will bring you everything you could possibly want for yourself and your family. Go out today, pursue your passion. find and exploit that thing that only you can bring to the world.